If you are looking for high quality but reasonably priced bathroom installers we are here to help. 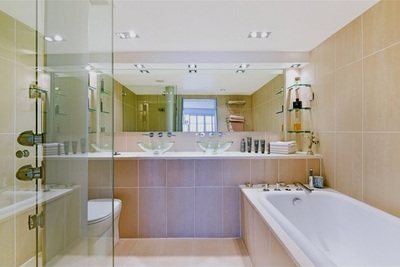 At Werner & Werner we provide top range bathroom fitting services across London. 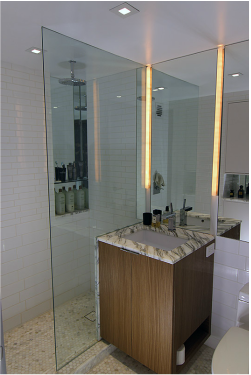 We understand how important it is to create a beautiful bathroom and how good it feels for the owner to use a meticulously crafted room. Our bathrooms are well planned, for durability we use the best available materials and we pay enormous attention to details to achieve the perfect finish. We run both: bathroom refurbishment London projects as a stand alone works or bathroom installation being a part of a bigger project. 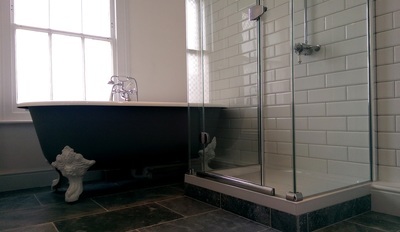 Bathrooms, shower rooms, wet rooms or small toilets - with appropriate maintenance they can work and look great for many years giving "feel good" factor whenever you have time to enjoy them. We are so confident in the quality of our bathroom fitting service that we offer a 12 months guarantee for all our work and materials, which we are happy to extend to 5 years on selected items. Simply, we make sure that our bathroom installation London is done well and reliable for many years to come. 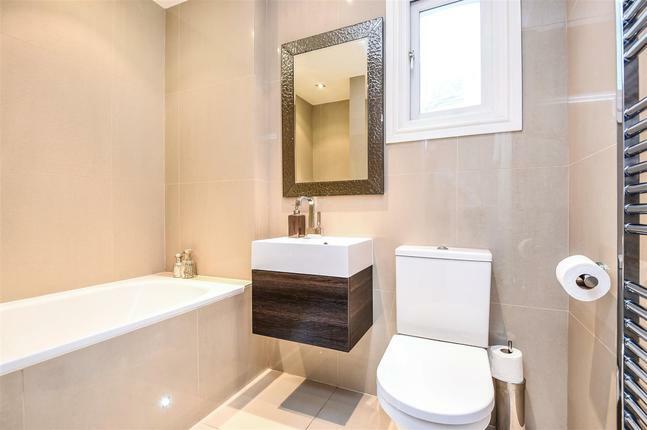 Although most of the inquires that we receive are focused on standard bathroom refurbishment London service, we also provide a little more sophisticated services and products. 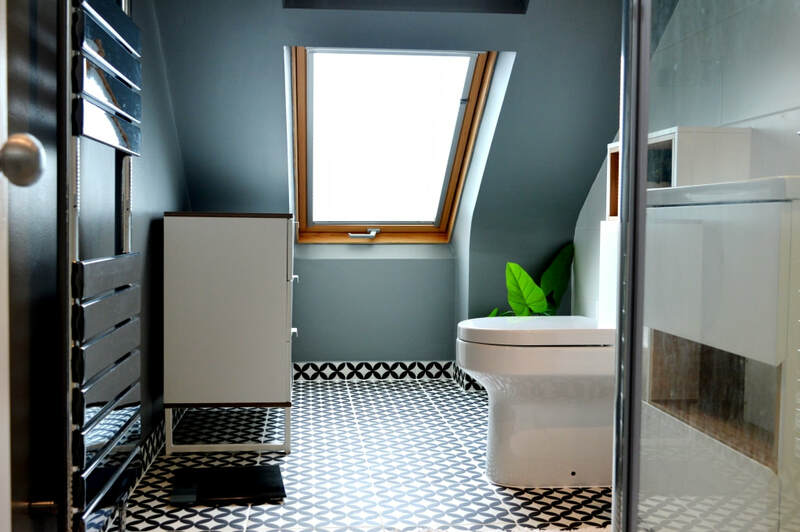 Over the last years more and more customers are looking for bathrooms with more edgy and unusual look and we work hard to keep up with our customers' demands. Architectural concrete finish to walls and floors. Do you think tiling is out of date? We completely agree. We have been using specially manufactured, hard wearing and water tight concrete looking products to bathroom floors and walls. Moreover we can offer the same concrete look finish to create worktops, shelves or even basins or shower trays. Wet rooms and wet showers. Replacing a standard shower tray with made-to-measure tiled surface or creating the entire bathroom as a shower area can be the ideal solution for your bathroom. The key point is to create a firm and stable sub-base and to make the shower area watertight. We are so confident in our workmanship that we offer 5 years guarantee on wet room installations. Over the years we have successfully accomplished dozens of wet rooms; we have worked on sauna projects; we have installed commercial showers with the use of marine stainless steel cladding. Also we have gained experience in single layer concrete looking finish to floors and walls, either to standard bathrooms or as a finish to wet room surface. Furthermore, we have installed many frame-less glass screens and shower enclosures, inline outlet channels and custom made bathroom furniture. We have great experience in advanced electrics: wet room lights and all kind of waterproof light effects. We are bathroom installers that you can trust and we can make your bathroom look outstanding. If you are looking for bathroom installation London service please contact us for a free consultation and a no obligation quote.